This holiday season give your loved ones something they can use. 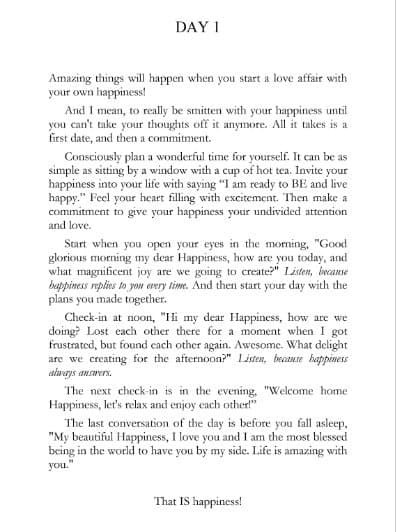 Here is an easy and incredible 365 Days of Happiness Book Gift Idea with daily inspirations that help you mindfully work towards living a more vivid experience of daily happiness. We’ve been talking a lot about self-care lately because it is so important for health and wellness. Especially with the upcoming holiday season we all need to remember to take care of ourselves and remember the good things in this one amazing life. 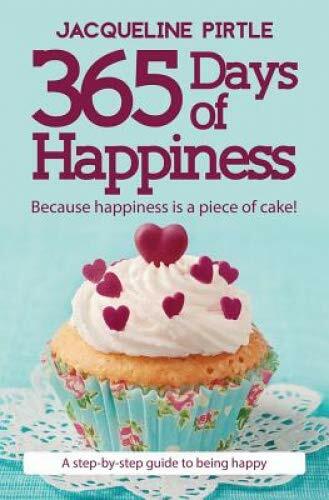 This 365 Days of Happiness Book Gift Idea is such a great way to remember those things that make us happy! Do you have fun with your own life? How often do you really pay attention and choose things to improve your day? In 365 Days of Happiness, bestselling author, energy healer, and mindfulness teacher Jacqueline Pirtle has created daily inspirations that help you mindfully work towards living a more vivid experience of daily happiness. Showing that you can put in work to change your life while having fun, the practices are full of whimsy and delight. Through light, bubbly, cheerful passages, each day teaches you to find happiness, use those sour lemons, and shift yourself into a “high for life” frequency where you can reach happiness anywhere at any time. Jacqueline Pirtle a.k.a FreakyHealer is an accomplished energy healer, mindfulness-happiness coach, and bestselling author of 365 Days of Happiness. She has helped hundreds of clients shift into a “high for life” frequency, as a result their health peaked, success and abundance arrived, and life (as parents, in families, and single) shifted to being magnificent for them. Jacqueline has been featured on NBCNEWS, Women Inspired TV, podcasts, guest posts, and her article “Are you happy” is in print in The Edge Magazine. Her professional background is in health, wellness, holistic medicine, energy healing. She holds international wellness degrees and is internationally certified as a Reiki Master.